Keerthisinghe is a Sri Lankan by origin and is an Entrepreneur, Speaker, Politician, and T.V. 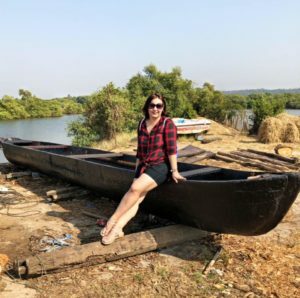 Presenter based in India. He is a firm believer in God and holds great knowledge of Buddhist philosophy. Having lost his father at the tender age of eight he faced numerous challenges in life and despite his adverse circumstances managed to enter the University of Colombo and graduated as a Bachelor of Law and became a professional lawyer in 2000. He became an early rupee millionaire and then lost it all. Being the fighter that he is, his quest has not ended despite going through many failures. He had firm belief in God and his own never say die attitude to rise again n again. He went through personal and professional set backs always to bounce back even defying death. The Book as the name suggests is a work of art, a seriously motivational book with a nice and refreshing outlook to really inspire you to achieve your dreams. 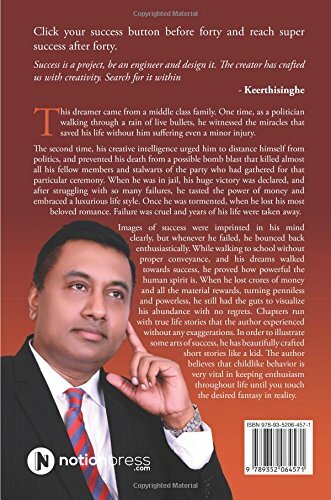 A simple narrative interspersed with some truly inspiring stories and personal experiences gives you an ample window to look through the Author’s up and down journey and his strong will and belief in the Almighty to cross all hurdles and move towards the Goal. 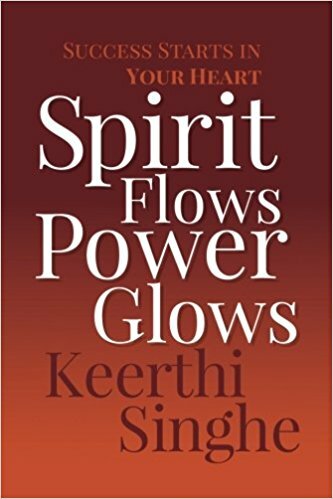 The book really takes you on a roller coaster ride and leaves you infused with positive energy and high spirit. One gets a sense of belief and feel all charged up to take on the world. An absolute cracker of a book for all. Very Inspiring. Very Motivational. An absolute must read. Grab your copy now, you will not regret your buy. Its available on Amazon for Rs 270/- for paperback. A word about the author first. Dr Jatwa by birth is from the holy city of Ujjain and did his M.B.B.S. from M.G.M. Medical College, Indore. He has a passion for writing and since 2006 has written two novels, with Second Chance his Second Book is the first one to be published. 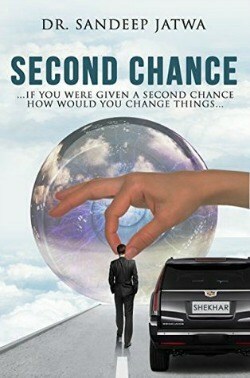 Second Chance is based on the phenomenon of Near Death Experience which it’s main protagonist Shekhar Kapur goes through. Shekhar is a ruthless businessman with absolutely no scruples,intent only on taking his Aerowalk Shoe Company to the top irrespective of the means. Despite subtle warnings from an unknown third force of the consequences of following his inglorious ways he continues on his path least caring about the number of people he hurts on the way. He has no qualms about how many people despise his very being and barring a couple of people who love him despite his erring ways. Shekhar meets with a near fatal accident and during that period he experiences death and it’s aftermath. The author has used great imagination in describing the after world,Hell to be precise. He paints hell and the subsequent punishments an inmate has to go through in vivid detail and it really gives you the goosebumps. Does Shekhar return to life as it gives him a second chance? Does he atone for all his wrong doings and how? Go grab your copy and find out,makes for a ver interesting read. Proof reading leaves a lot to be desired. 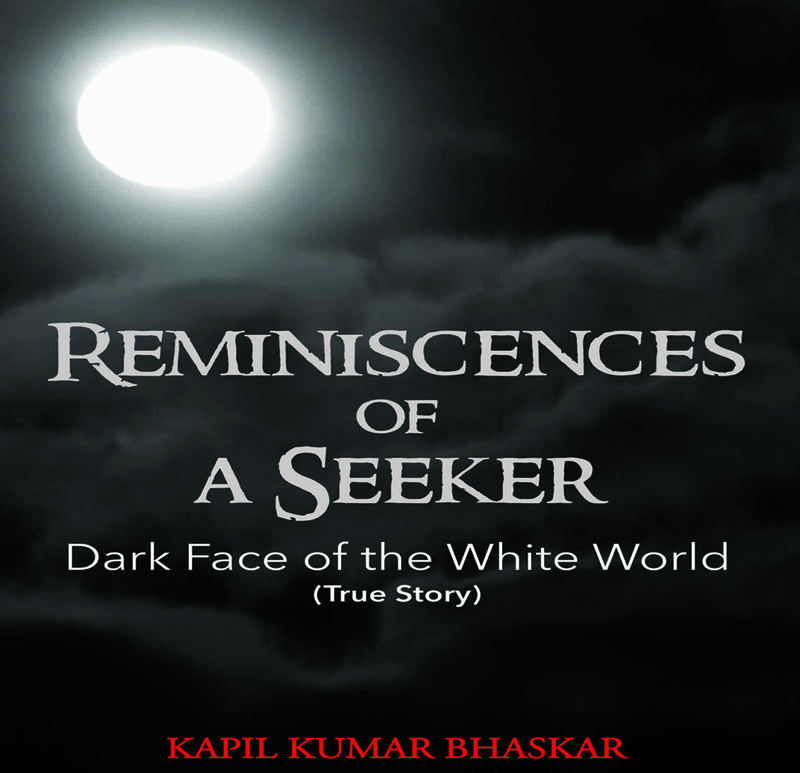 Kapil Kumar Bhaskar was a successful businessman whose interest in spiritualism led to the World of Dark Arts. The book is his recollection of the innumerable experiences he went through on his way to seek enlightenment. He is now a full time Counsellor and Spiritual Master. As it proclaims is a true story based on the first hand encounters of Kapil in his quest for spiritualism. 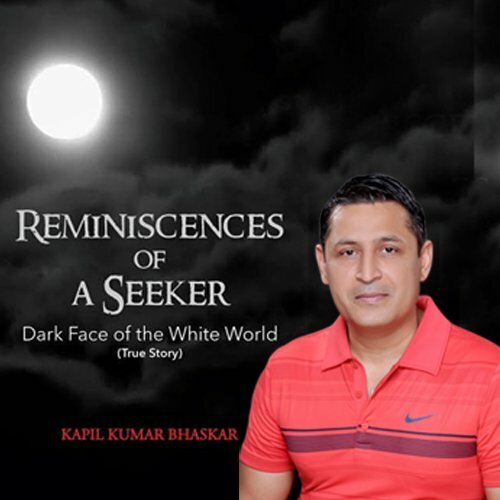 Having experienced some divine encounters from an early childhood he is literally attracted to the unknown and goes on a journey that pulls him the the world of Dark Arts. He is pitched in a battle of drama, greed and betrayal. So deep is he sucked into the depths of never ending trials and tribulations where his whole being is at stake. It is a real engrossing battle between the good and the evil. Makes for a fascinating read and at the same time gives me the goosebumps just to think what Kapil,the protagonist had to go through in life. An excellent insight it gives us into the real world of Tantrics n Aghoris. The way the author shares his experiences it becomes very easy to believe in this OTHER DARK WORLD. But as they say eventually Good wins over Evil. A must read for everyone,and I assure you it willbe difficult to put away the book. 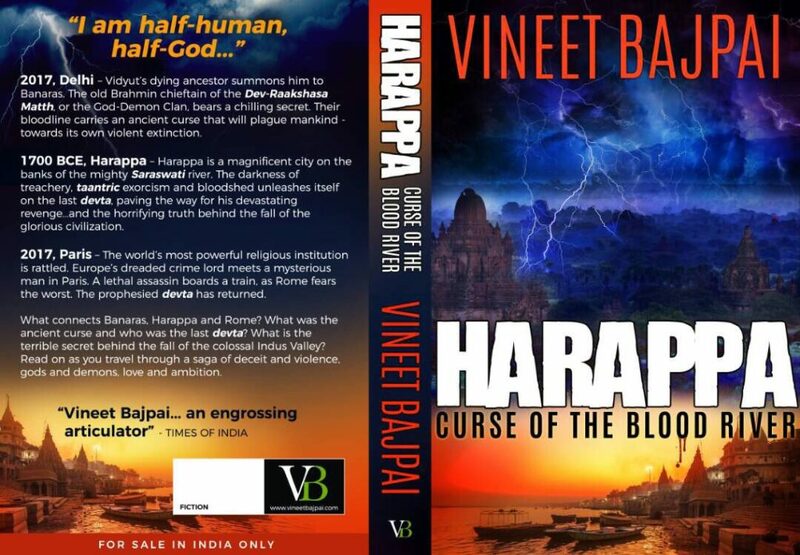 Get your copy now and go through a fascinating journey of deceit, fear, greed and last but not the least FAITH. Eagerly awaiting for his next. Vineet is a very successful entrepreneur. At the young age of 22 he started his company Magnon from a shed. Magnon is among the largest digital agencies in the subcontinent and part of the a fortune 500 Omnicom Group. He was the youngest ever CEO of a multinational advertising agency TBWA as its India CEO. Much acclaimed and awarded in his field he was recently listed among the top 100 Most Influential People in India’s Digital Ecosystem. The most amazing fiction which gives you the feeling of being more real than real. The main protagonist Vidyut is a character one easily falls in love with. 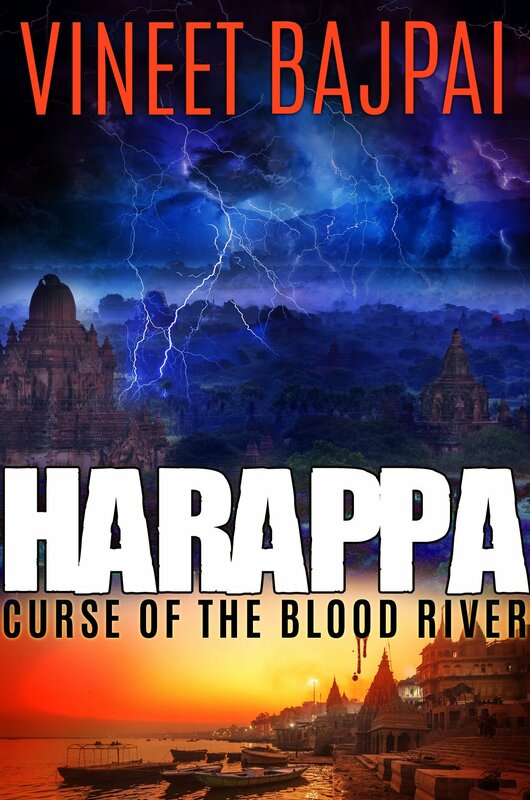 The story spanning a 3700 yrs from ancient Harappa to the modern day Kashi is a roller coaster ride that keeps you on the edge of your seat. The author has a wonderful vision and complete hold on the vivid canvas which he spreads across distinctive time zones. The events unfold at breath taking speeds and keep you mesmerized. Really difficult to put down the book. Vineet’s style of narrative and backdrop does remind of Dan Brown but Vineet has surpassed it in terms of vision and imagination. Its so glad to see that our Indian writers are now experimenting with topics, style of writing and giving many shades to their characters. They are no more caught up into traditional thinking, and that for readers like me is a very good news. Get yourself a copy NOW and relish the superlative storyline. 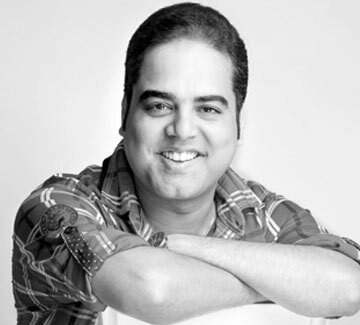 Sagar Kamath teaches History and International Affairs at Symbiosis International University. He is a Masters in History and Philosophy and has almost a decade of teaching experience. He has lectured extensively on a wide range of subjects and specializes in issues of religion and politics. In his free time he loves to explore ‘off the beaten track’ locales which hold a sense of mystique about them. Chronux is the story of Time or let’s put it this way that Chronux is a story which time tells us about of times past to times in the far future and the times spent inbetween. The story which starts from a a small village of Aruhu, in the Himalayas takes you on a roller coaster ride through a span of more than 3000 years BC to more than 3000 years in the future,not to forget the time in the present. It’s a wonderful Juxtaposition of the long past events mingling with the present and the future. Although a work of fiction a tremendous amount of research has gone into the making of this absolutely rivetting story of Time. The events described whether in the past, present or future are so realistically portrayed that at times you pause and find that yes all this could be very plausible and true. Really a remarkable piece of storytelling wherein you feel you are a part of this journey. The events described from the past,present and future are beautifully intertwined and does leave one dazed at the aouthor’s imagination and the finesse to put things up so brilliantly. A must must read for everyone. Go grab your copy now and enjoy a never before experience of fiction/reality. Find out for yourself. Its available on Amazon for Rs 475 for paperback and 283 for the Kindle version. A word about the Author first,Mayank Sengar is from a family of culturalists based in the holy city of Varanasi. He is naturally blessed with a keen eye for the human factor and a fine sense of appreciation for life’s varied experiences which also reflects in his work. He has an uncanny talent of connecting with people from all strata of society and that in turn is evident of his very real characters in his stories. Mayank currently lives in Gurgaon with his wife and two lovely kids. Life and the Grey Notes is a collection of short stories, 10 to be precise. A story of a modern day confused youth looking for answers to chart his future. And answers he does get but in a very surreal manner. Was it God himself leading him or??? The story of a just retired ever happy and helpful man and his quest for peace in this modern techno savvy society. A really moving and telling story of the make believe virtual world which all of us are caught up in. The story of Hope against all odds epitomized in the form of one person:Bhoop Singh,who has a solution to every problem and is the living symbol of inspiration and hope for all around him. Is he for real or is he too fallible to the vagaries of life??. A fascinating view point from the author vis a vis the pet that we keep. Do we provide him with all the security,love and affection or is it actually the vice versa?? Another little gem from the Author regarding our love for the yellow metal. Is it to be bought and put safely in bank for future security or can it be enjoyed by the female members of the family??? A story of a young man not very bright in studies and being constantly compared to other bright students. His gradual dependence,like most ,growing upon praying to God for a miracle. His subsequent loss of faith. Does he regain his faith??? 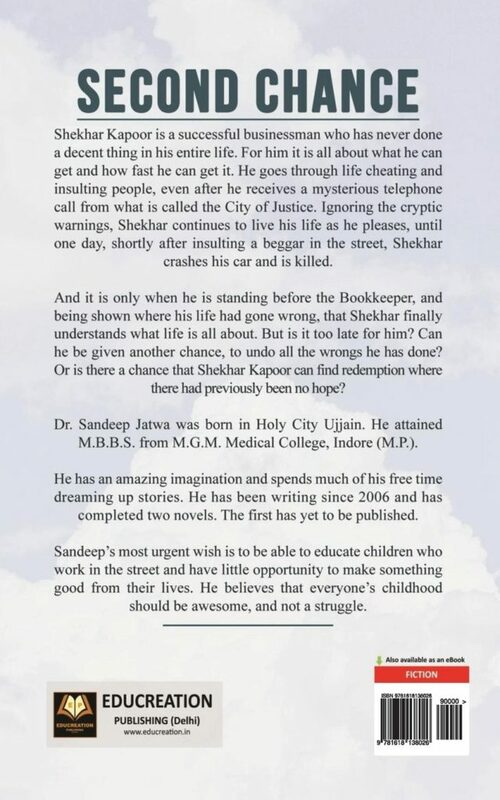 A superb story of an hard working man trying to achieve his small dreams with honesty. Is it possible in today’s opportunistic world? Or does he fall prey to the tryst with dishonesty??? As the title clearly suggests we in our day to day life are always more than keen to be judgmental of events and people around us.But a chance encounter of the protagonist with a fellow passenger leaves a mark on him. Again the title really says it all. You may be having the time of your life in everything you do right from childhood to your growing up,lucky you. But does luck betray you when you least expect it???? In this fast paced crazy lifestyle of today one is not able to find answers to so many of life’s riddles. But somehow one remark from someone gets right into you and becomes the answer to your myriad questions.Right???? Well a simply beautiful collection of short stories touching upon the various facets of life. A wonderfully simple narrative style that holds your attention.